Modern, Light weight, secure and dynamic websites with PHP and Mysql. Responsive Design Framework to view your PHP website or web app on any device, with rotation page rendering capabilities. Professional PHP Websites and web applications driven by MYSQL and PHP. Our PHP developers are highly skilled and ready to create the functionality you require for your web based or network based php mysql application or PHP MYSQL Database driven web app. Web design Studio services for my business. Our Web development Studio develop mobile and tablet apps for Android, IOS app development, Symbian for Nokia Apps, Blackberry, and Windows 8+ Mobile OS Operating systems..
Impi Media offer professional PHP MYSQL web development applications. Our highly skilled PHP developer and MySql master will ensure that your new website or web application is the creme de le creme interms of the rich functionaliy that HTML, PHP, and mySQL has to offer. The combination of using PHP with HTML and MYSQL allows a relatively seamless process in retrieving data from your mySQl database management system and displaying this data as HTML on your web page. If your company is looking to explore the very best in terms of site functionality and beautiful,stylish web design, Impi Media offer highly skilled, expert PHP developers that combine HTML5, CSS3, PHP, and the mySQL database management system to deliver world class websites and web applications. Custom reporting, E-commerce, Memberships log in and verification, News letter subscription, and data management are seamlessly combined to offer dynamic content, dynamic functionality, and a pleasurable, fast loading online experience for the web user. We do belive that stylish, dynamic, top technological standards, and elegant web design can combine with web services and database managements systems such as MYSQL, to deliver business web products, customized to our respected clients specific requirements. Trust and integrity are at the forefront of allowing Impi Media to be your online partner in developing a dynamic, functional online web presence, tablet app, or mobile apps for your company, or business solution. 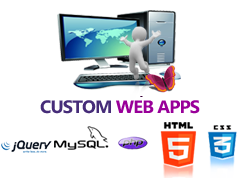 Our Web Designers and Web Developers offer creative websites and web applications in HTML5, CSS3,PHP and mySQL. 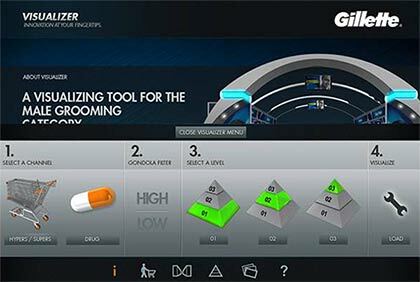 Our UI UX designer delivers dynamic, interactive, and professional new websites and web apps. 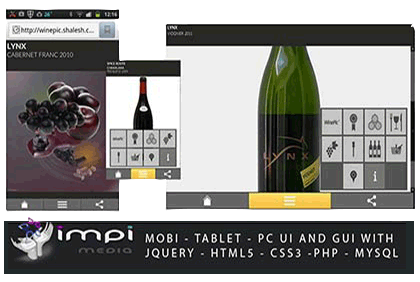 Impi Media offer web design and development services with Joomla, the worlds leading content management system, or CMS. Content Management is important if your web presence has dynamic, fresh, informative, constantly changing content. If you are serious about making money from your business online, set a good foundation from the outset with a professional custom cms tailored your requirements. Your pages will load faster, your site framework will be secure and not in the public domain, and wont break continously or require framework or core upgrades. If you are a start up business perhaps Joomla is the answer. Impi Media offercustom enterprise i.t solutionsfor businesses.Secure content management systems with PHP and MYSQL.Customized functionality for your business website or existing PHP MYSQL web application.. Skilled and experienced PHP and MYSQL developers and HTML5 and CSS3 Web designers deliver professional, dynamic, business websites, web applications,and custom apps for Mobile - Tablet or PC web applications. World class websites - web applications - PHP MYSQL Custom B.I tools.